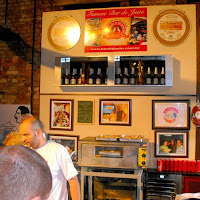 Last Sunday (November 8th), the Veríssimo Bar was awarded as the best 'Petisco' on the Best Boteco Competition 2009. The champion is the snack called Pirulito de Rabada no Caixote (oxtail meat immersed in a pan with polenta, Tuscan sausage and crispy watercress, accompanied by pickled okra and colored quail egg). 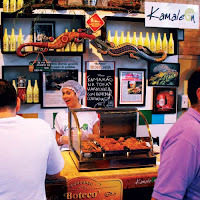 The O Famoso Bar do Justo received the award of the Best Staff Service. The Kamaleon Grill & Bar received the Best Serving Beer award. 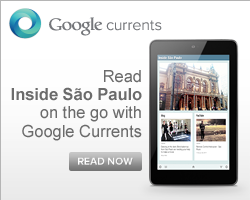 The announcement was last night (November 8th) at the Espaço Moinho in the Mooca Suburb. The Best Boteco Competition had its sixth edition this year in a huge and fantastic party surrounded of beautiful and interesting people. The mood created by the music plus 31 different options of 'Petiscos' (snacks) is something pretty Brazilian. 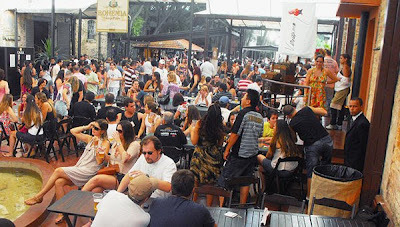 Sitting on a bar's footpath during a hot day to have a cold beer with some snack is cultural in Brazil. The event's organization did it really well and despite it is a beer brand campaign, the Festival could represent a little bit of its ritual. Not just for the beer and the food, but also for the smiling people being part of it. The video bellow brings a little bit of the mood on the first day of the competition (November 7th).